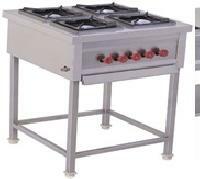 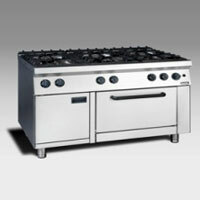 Product Specification • High quality Two Burner Cooking Range. 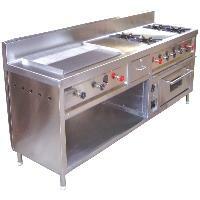 • Manufactured using superior quality raw material. 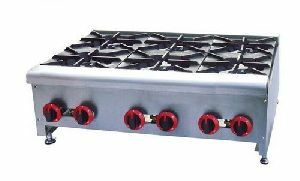 • Low maintenance. 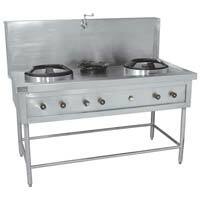 • Durable finish standards. 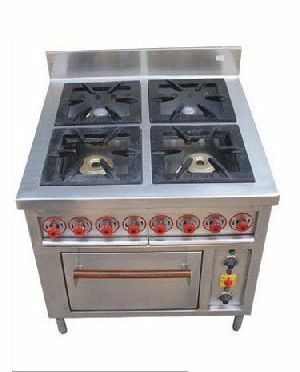 • Dimensionally accurate. 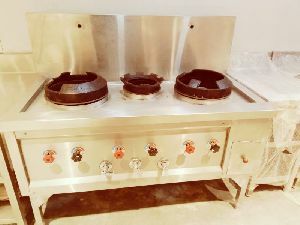 • Rust resistance. 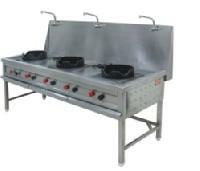 We are offering multipurpose cooking ranges. 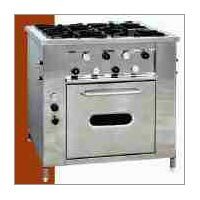 these are ideal for used cooking food in medium and small cooking pans, dosa preparation, keeping cash in drawer & baking food in underneath oven & is used by restaurants, canteens, snack bars banquets, lawns, bars, party halls. 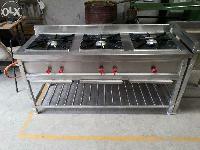 We are offering chinese cooking range, kitchen equipment. 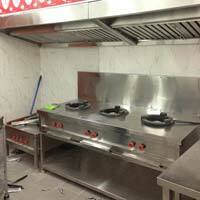 They have extra space for storing utensils. 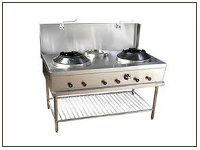 You can keep utensils there and directly use them. 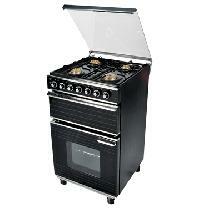 Many cooking ranges come with microwave attached in the lower portion. 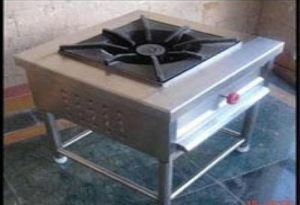 Some have dishwasher. 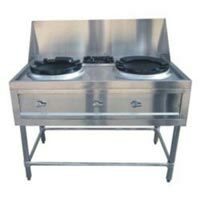 The work of dishwasher is to wash utensil in automatic way. 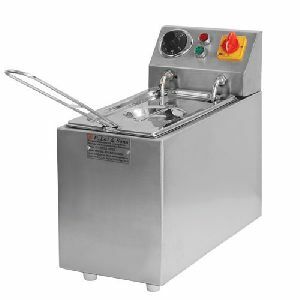 This automatic process saves much time and efforts too. 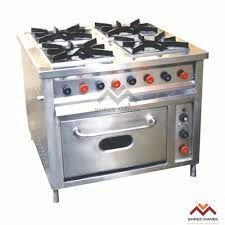 Utility of ovens is also numerous. 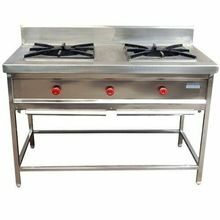 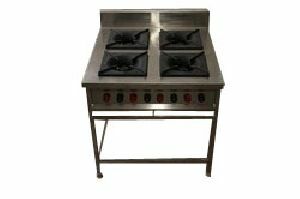 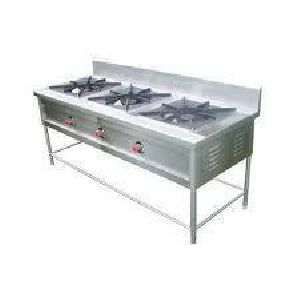 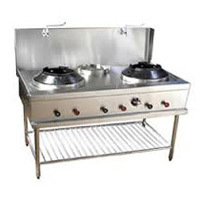 We are engaged in offering Four Burner Continental Gas that has been successfully installed in numerous , restaurants and culinary institutes. 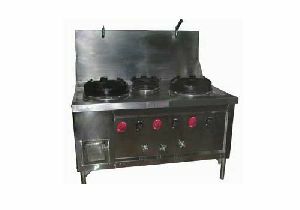 Best of the quality used which will help customers in terms of durability of our product. 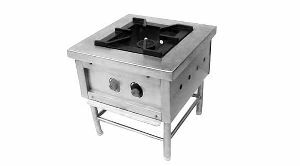 CONSTRUCTION :-Top border of 16 gauge s.s.sheet, with 150mm high s.s.sheet proper welding, gauge, back of the back splash to be fully closed with 16 gauge s.s.sheet with proper welding, provided with 2 nos.H.P.L.P.G/P.N.G (1, 00, 000 btu each), under shelf of 25mm dia.s.s.pipe to be provided, all burner provided with needle control valve and pilot lamps, with 38mm dia.s.s.pipe legs, with nylon bullet adjustable feet. 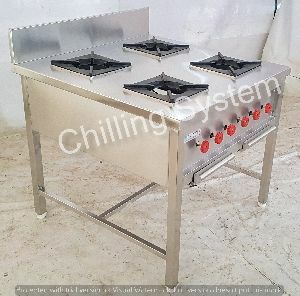 We manufacture of chinese cooking range in variety of design. 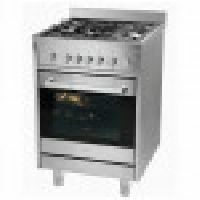 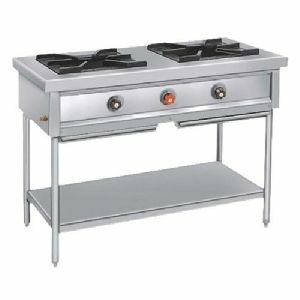 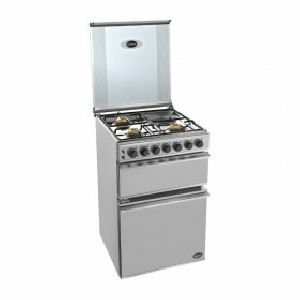 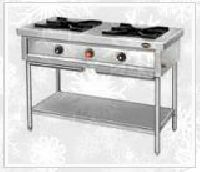 The top of this cooking range is made of stainless steel with high quality burners, l. p. Gas operated chinese cooking range designed to accomodate three open flame burners in a small compact layout with an option of integral oven underneath or a spacious under-shelf or hot cabinet.